Please join Earl Littman, author of “The Wizards of Common Cents”, as he highlights the importance of education, specifically among veterans, at the San Antonio Book Festival. 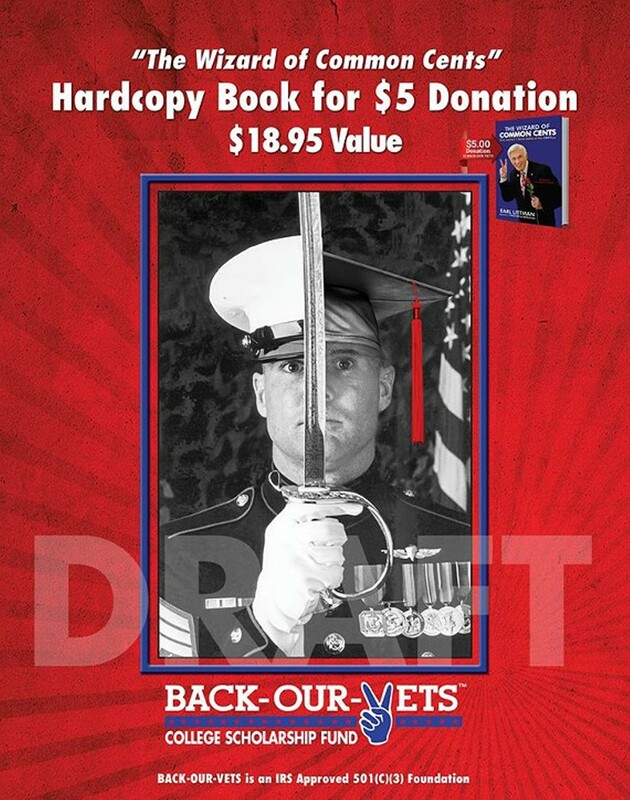 Littman donates the author royalties from his celebrated book directly to his 501 (c) (3) non-profit's, BACK-OUR-VETS, college scholarship fund that supports the education of our veterans. His readers have expressed great enthusiasm for his mission to improve of the lives of veterans. Littman will be on hand to discuss the ways in which San Antonians can make a difference with a $5 tax-deductible donation that will be donated.